Posted May 9, 2018 by Jeanne Costello & filed under . 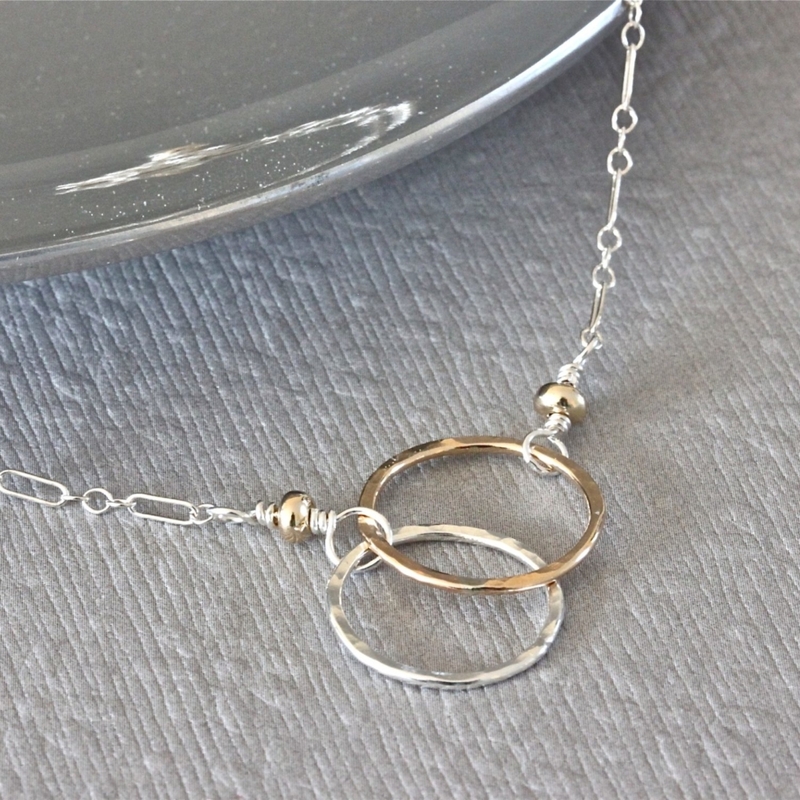 Sterling Silver Chain Necklace with Handmade Rings in Sterling Silver and Gold Fill. I formed, filed, hammered and polished them which gives the necklace a real handmade look. I also added some small Gold Filled Beads at the center on either side of the Hammered Ring, and also at the end near the Solid Silver Lobster Clasp. 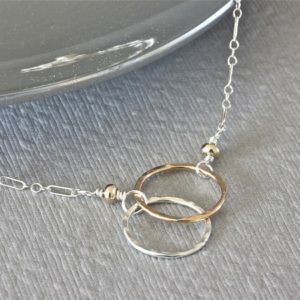 I love the simplicity of this necklace, and the combination of Silver and Gold is a favorite of mine. I put the main focus on the two different color circles holding unto each other, much like people holding hands supporting one another. We can’t get through life alone!